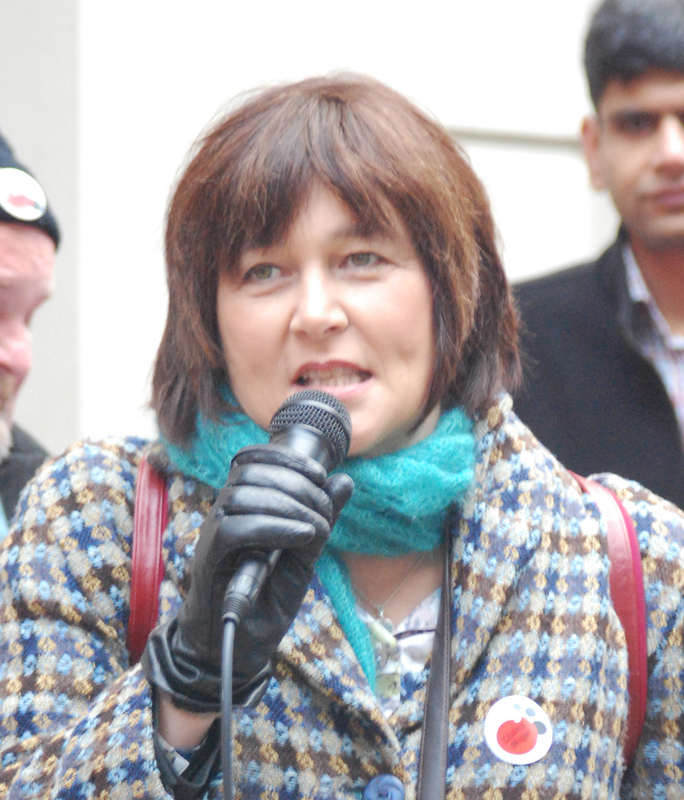 Much admired and determined union leader, Helen Kelly, aged 52, died last month following a battle with lung cancer. More than 1500 people gathered at the Michael Fowler Centre in Wellington on Friday 28 October to farewell the former Council of Trade Union president. I met Helen a couple of years ago at a gathering on the situation of workers in New Zealand. The meeting was at St Joseph’s church, Mount Victoria. I had been speaking about the Catholic Church’s teaching on workers’ rights and unions. Helen spoke about the realities faced by workers in Aotearoa NZ – the workplace dangers in forestry, mining and farming, the low wages and precarious employment of many workers, the impunity of many employers. It was obvious Helen was speaking not just from academic knowledge but from personal knowledge of many of the families affected. Helen spoke with her usual logic, passion and humour, at one time turning to me with laughter saying she had never imagined she (an atheist) would be quoting a pope (Pope Francis) on these matters. Our conversations continued and I was privileged to become friends with Helen and Steve, her husband. As with many others, I was deeply impressed by Helen’s strength and clarity. I often wondered where that strength came from. People who have known Helen longer than I could best answer that question Clearly, there were multiple influences, from the love of her family to her own honing of her skills and knowledge and sense that for justice to be achieved, solidarity and organization were necessary. For me, one of the sources was her capacity to listen. Helen listened carefully to the situations of workers and their families. In listening to their difficulties, pain and marginalisation they, too, became her friends. So when she spoke, Helen did not speak about faceless cogs in a machine, but on behalf of people she had cried and laughed with. She spoke with honesty, clarity and the goal of just treatment for all. In a society where capital dominates, then justice requires a redistribution of power in favour of the working person. This has been part of Catholic Social Teaching from Rerum Novarum (1891) onwards. While fully respecting Helen’s position on religious belief, from my perspective, I consider her dedication to ordinary working people showed us something of God’s hopes for our world. May she rest in peace. E te wahine toa, haere, haere, haere. Whiti mai ki a mātou nō te whānau mārama. Haere, haere, haere.